MMA gloves Made of high-quality synthetic leather. Very well profiled. High cuff with Velcro fastener. 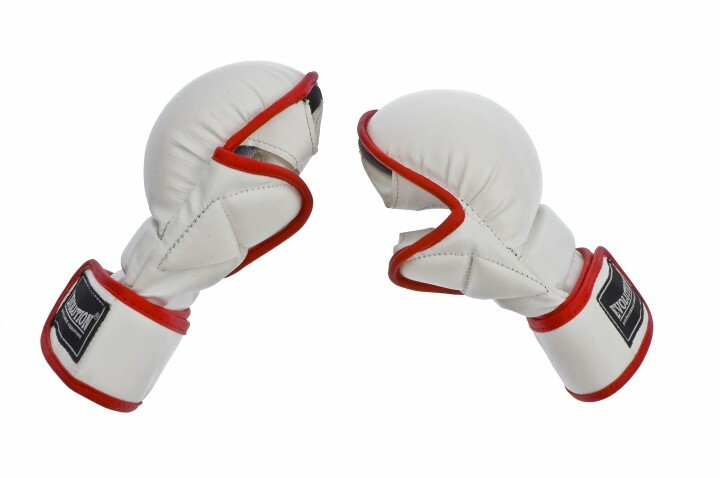 The bones of the fist strong, embossed material is a good Made of impact, at the back of the hand, the fingers grip the bars only for good. 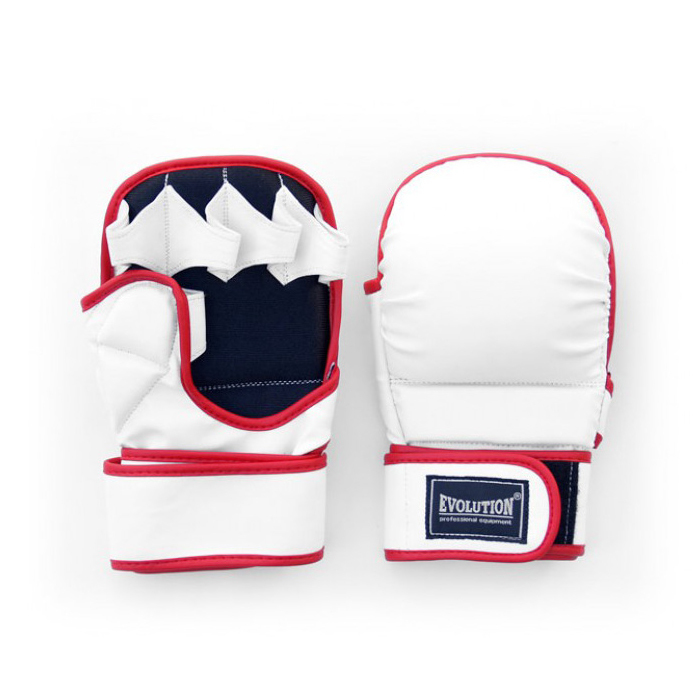 Brand Evolution guarantees the high quality and durability of gloves.